It looks like yet another celebrity couple will be heading to the land of divorce. 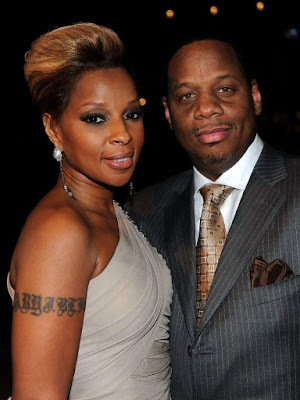 Mary J. Blige & husband/manager Kendu Issacs are headed for splitsville after 12 years of marriage. Just like most celebrities when they divorce, we all want to know exactly what went wrong. According to reports by TMZ, the couple are headed for divorce after the queen of r&b/hiphop filled for divorce where she citied it as "irreconcilable differences" as to why they are going their separate ways. The singer & Kendu got married back in 2003 & for a good number of years Blige seemed very happy & at peace with herself & marriage. While this is surely a difficult time for Blige, we are sure she will create some very relatable music out of the situation.